using the agent’s own current or savings accounts or the agent’s credit or charge card accounts with effect from 1st July 2018. This excludes premium / contribution payments made by Corporate Entities. 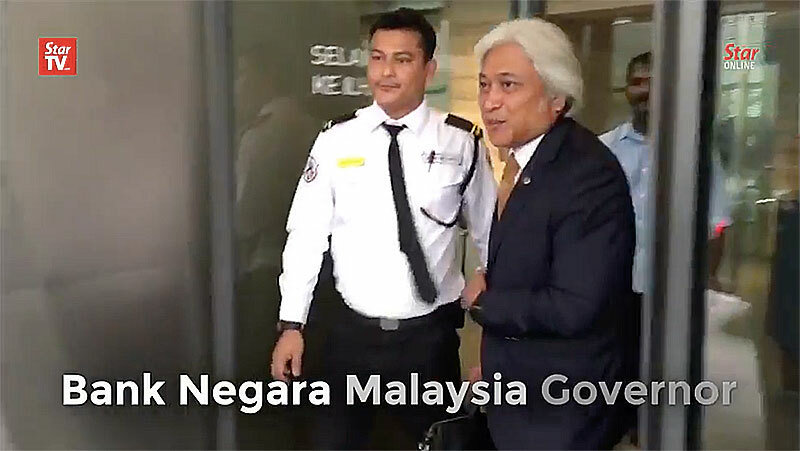 KUALA LUMPUR: Bank Negara Malaysia Governor Tan Sri Muhammad Ibrahim has submitted his resignation, says Tun Dr Mahathir Mohamad. Speaking to reporters at a press conference on Wednesday after its Cabinet meeting, the Prime Minister said Muhammad had expressed his desire to leave and the Cabinet had accepted it. “He didn’t say a concrete reason,” he said when asked whether it was linked to the RM2bil land deal. However, Dr Mahathir said the King’s approval was needed to announce a new governor. StarBiz reported earlier that the move comes less than a month after the Pakatan Harapan coalition won a surprise election victory and Lim Guan Eng, raised questions about the central bank’s purchase of land from the previous administration. Lim said in May that the previous administration of Datuk Seri Najib Razak had used money raised from a land sale to the central bank to pay off some of the debts of 1MDB, the state investment fund that’s been mired in a corruption scandal. Bank Negara has said the purchase was transacted at fair value and complied with all governance requirements and relevant laws. Muhammad was promoted to lead the central bank for a five-year term in May 2016 when Tan Sri Dr Zeti Akhtar Aziz stepped down after 16 years of leadership. He had risen through the ranks of the central bank since joining it in 1984 and was endorsed by Zeti when she left as a successor able to provide policy stability. Former deputy governor Datuk Nor Shamsiah Mohd Yunus is strongly tipped to succeed Muhammad. Shamsiah was involved in policies to strengthen the banking system during the Asian financial crisis and in the development of regulations and guidelines for the financial sector. She also helped formulate the financial sector’s 10-year master plan through 2010.